Leave stress and tension far behind and give your body and mind a well-earned break! Enjoy Gastein with every fibre of your being: with the combination of personally tailored cosmetics, beauty and wellness programmes, our day spas and health centres are sure to fulfil your each and every wish! 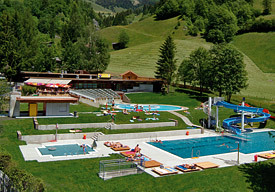 One of the secrets of the success of the Felsen-therme is the fact that we have something for everyone, young or old; for those in need of recuperation as well as for people full of life. 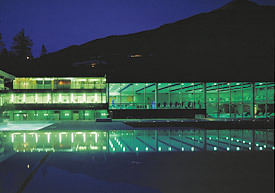 and recuperation, to complement the original, architecturally impressive spa relaxation area. and a glassed-in sky bar. a wonderfully enjoyable bathing experience at temperatures between 26 °C and 28°C. 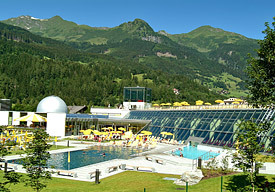 family aquatic centre of Gastein!